It's one of the most iconic car races in the world - a true test of endurance for the drivers and machines who hurtle round the famous Le Mans circuit for 24 hours, broken up only by brief pit-stops to take on fuel or swap drivers. But even for the most die-hard race fan, a whole 24 hours of noise and speed can be something of an endurance test in itself. So if you're planning to head to Le Mans for this year's race over the weekend of June 18th and 19th, here are a few suggestions about some of the many other places of interest that you'll be able to visit in the area, especially if you're also planning to hire a car for the weekend. In contrast to most French population centres which have sprung up around their medieval quarters, in Le Mans the Old Town stands high on a hill looking down over the newer parts of the city. This makes it an especially quiet and relaxing place in which to find yourself, even if the howl of racing car engines is still ringing in your ears. 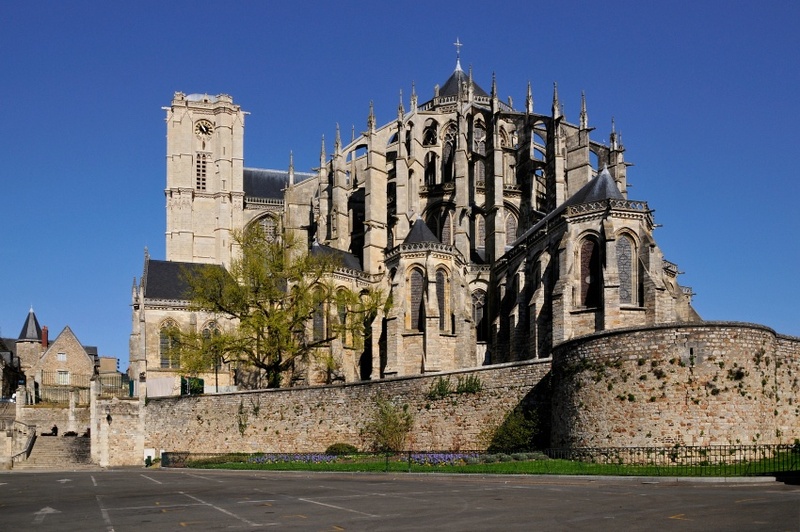 For even more peace and serenity maybe the first place to head for would be the city's Cathédrale St Julien. At over 130 metres long it dwarfs many of the country's better known cathedrals, but it's not just its size that is impressive. As well as huge flying buttresses, the interior also boasts some truly stunning stained glass windows, in particular the 12th century example depicting the Ascension. If the sun's out and you'd prefer to be out in the open air then there's no better place than the Jardin des Plantes. These 19th century gardenscover eight beautiful hectares in the heart of Le Mans. There are two distinct styles to the Jardin consisting of a French garden and an English park. The latter features a stunning rose garden which will be in full bloom at this time of year, and another highlight is the beautiful terrace planted with lime trees. If you're looking for an educational experience during your time here, the Tessé Museum in the old Bishop's Palace is home to the city's very fine collection of paintings mainly by European artists. Budding Egyptologists will also love exploring the gallery devoted to artefacts from the historically fascinating source, which even has two life-size recreations of tombs from ancient Egypt. Of course, no visit to the home of motorsport would be truly complete without a visit to Le Mans Race Museum. Here you'll find the history of the 24 Hours of Le Mans race through a number of exhibits and memorabilia, along with an amazing 120 cars including Bugattis, Porsches and Ferraris. There's also a glass-sided workshop where you can watch skilled mechanics working on some of the beautiful machines plus, best of all, there's reduced entry if you've also bought a ticket to the race. There's a lot more to Le Mans than just the screeching of tyres and the roar of race-tuned engines - and with its variety of relaxing spots you'll also soon discover that your time there doesn't all have to be spent in the fast lane.